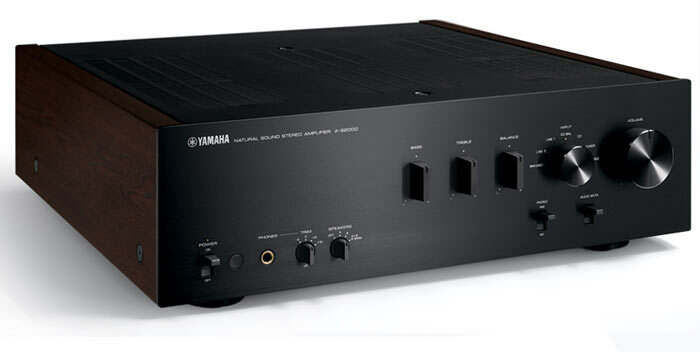 Where To For The Integrated Amplifier? I’m listening to an integrated amplifier as I type this. It’s Perreaux’s new Audiant 80i and it’s loaded with features, with analogue inputs, multiple digital inputs feeding its built in DAC and a MM phono stage. On the same rack is the integrated amp I was listening to yesterday – Wadia’s 151PowerDAC, which is described as a ‘digital integrated amplifier’. The Wadia hasn’t got even a hint of an analogue input but it does have enough digital inputs to cater for a variety of sources. As long as the owner has no intention of hooking up a turntable and doesn’t have a reel to reel deck under restoration, then the Wadia will more than suffice. On top of that, on yet another shelf is my Yamaha A-S2000 integrated, which has the usual analogue inputs, an MM and MC phono stage and a very useful headphone stage but hasn’t got any digital connectivity whatsoever. These three products couldn’t be any more different if they’d been designed just to contrast each other – tiny all digital Wadia vs. slim Perreaux vs. 25kg of beefy, retro styled Yamaha. So the question I’ve been asking myself is what’s the future of the integrated amplifier? Despite the resurrection and ongoing rise of the turntable, I’m picking that manufacturers are going to be offering digital connectivity over phono stages in future. For every vinyl nut with a turntable, there are endless crowds of computer owners with music files bursting forth from their hard drives. The integrated of the near future is likely to look more like the Wadia or the Perreaux than the Yamaha or ATC’s big SIA2-150. In fact, the compact form factor and the green credentials of the Wadia’s Class D amplification make it even more likely to be the blueprint going forward. Big power-hungry monsters with no digital connections are likely to become even more of a niche item than they are now, while smaller, greener units that can be hooked up to computers, games consoles or even mobile phones (with better sounding Bluetooth standards) will become the mainstream choice. On the other hand, the non-audiophiles among us will probably be more easily enticed by a little thing that ships in a shoebox sized carton and can be stashed unobtrusively next to the PS3. Until then, I reckon that Perreaux is on the right track with its Audiant and Wadia with the 151PowerDAC, both of which have their feet firmly in audiophile and non-audiophile camps while managing to sound good enough to satisfy both. i’m looking for the kiwi record cleaning machine to buy.i cannot find the info i need to do this .can you help .thanks karl.